1. BeLiteWeight is able to reschedule your surgery date one time using the same deposit. Your new surgery date must occur within 6 months of your cancellation date and be with the same Surgeon*. 2. If your surgery has been pre-paid, all monies except the $500.00 deposit will be refunded. BeLiteWeight is able to reschedule your surgery date one time using the same deposit. Your new surgery date must occur within 6 months of your cancellation date and be with the same Surgeon*. 1. You have already transferred your deposit once to a new surgery date. 2. If you were approved for the In-house payment plan, $250.00 of your deposit is non-refundable. If you arrive for surgery and the Surgeon decides, for your health and safety, not to attempt or complete your surgery, any expenses incurred will be deducted from monies paid and the remaining portion will be refunded to you. IMPORTANT NOTES: Any credit or debit card processing fees charged are non-refundable at any time. By making payment to BeLiteWeight you understand that BeLiteWeight is a scheduling service, not a medical facility or healthcare provider. We shall not be liable to you or anyone else for any decision made or action taken in reliance on information provided to you. The information does not constitute medical advice and does not create any physician-patient relationship. 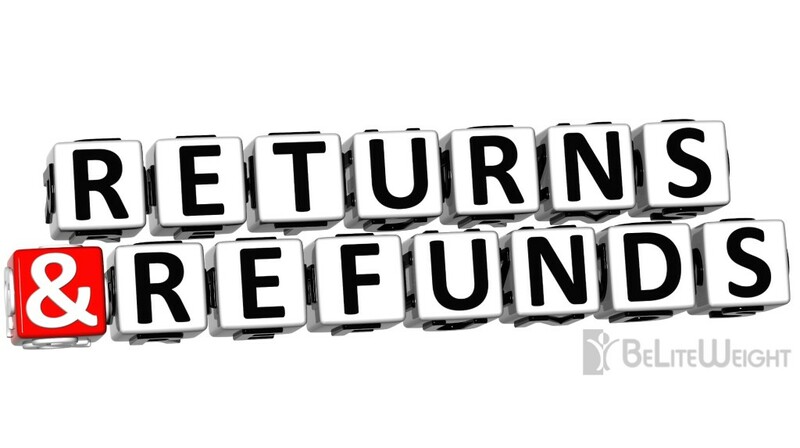 Products purchased from our web store and/or staff may be returned within 30 days of purchase for a full refund. The product must be unopened, sealed and undamaged in its original packaging. Return shipping costs are at your expense. No warranties or product guarantees are made by BeLiteWeight. Your use & results are solely between you and the manufacturer. *Some surgeons have their own refund and cancellation policy. You will be notified by their office when you pay your deposit/surgery directly to them of what their policy is and it will over-ride this refund/cancellation policy.